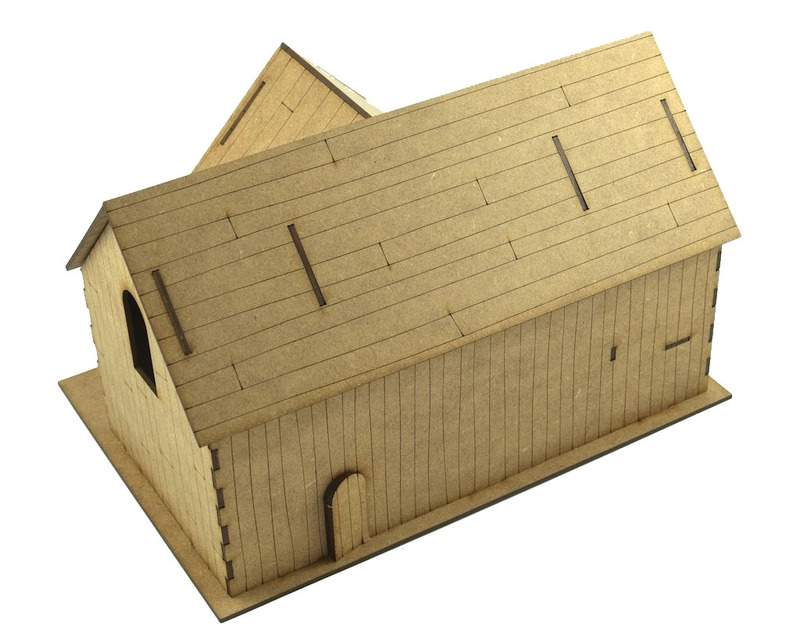 28mm scale timber barn building that would be great for many wargame and fantasy systems. 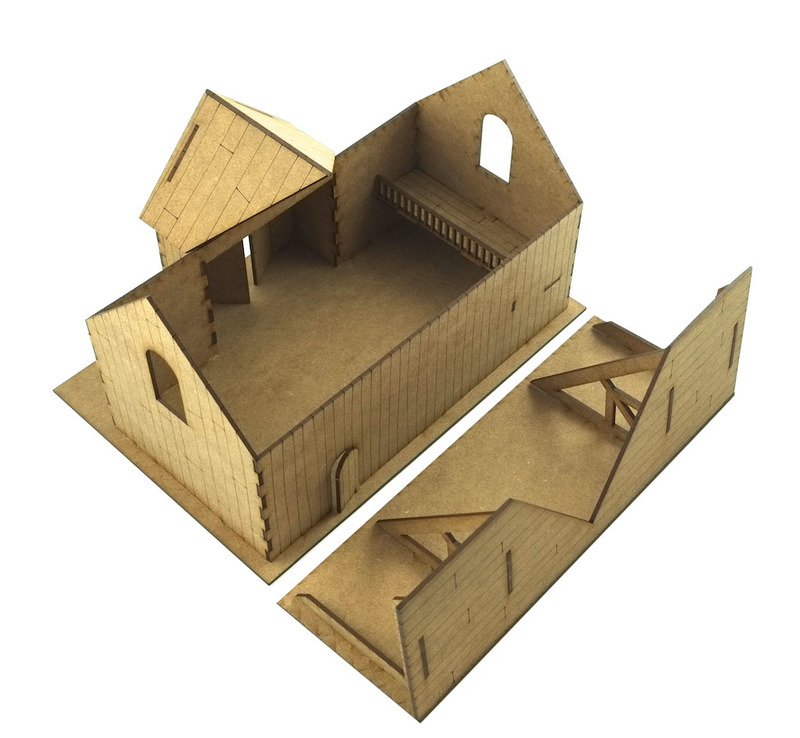 Purchasers have used this kit for Bolt Action, Westerns and fantasy! This model is precision laser cut for accurate assembly. The roof is removable so that the interior can be used and there is small raised platform with ladder at one end.The timber barn has laser engraved timber plank detail. The roof is also etched with timber plank detail. This kit is a companion piece to our two farm buildings. The barn measures 216mm x 144mm x 136mm high. Kit requires assembly with PVA glue and painting.